Wise Owl’s ‘Food State’ Vitamin E is a natural nutritional supplement in a whole food complex, for optimal absorption & utilisation. 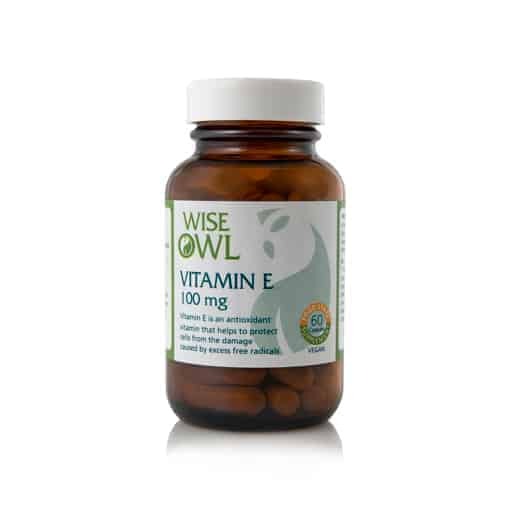 Vitamin E is the collective name for a group of fat soluble compounds which have distinctive antioxidant qualities. 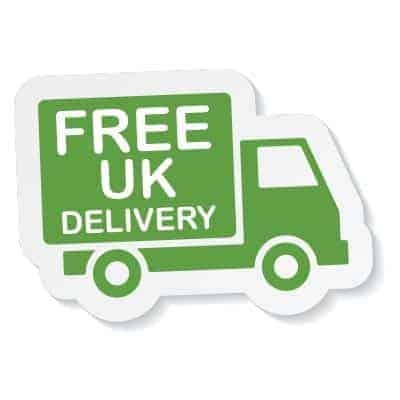 Other benefits include skin health, anti-ageing properties, brain health, reducing bad cholesterol & heart health. Vitamin E prevents saturated fatty acids & vitamin A from breaking down & combining with other substances that may become harmful to the body. Fat oxidation can result in the formation of harmful free radicals. Harmful free radicals are highly destructive molecules that can alter DNA & cause extensive damage to the body. It also helps to protect the myelin sheaths that surround the neurons in the brain. This can help prevent degeneration during the normal ageing process & may also help to prevent illnesses such as Alzheimer’s disease. Vitamin E is found naturally in many foods, fats and oils, it is added to others and is widely available as a supplement. Vitamin E is the collective name for a group of fat soluble compounds which have distinctive antioxidant qualities. It prevents saturated fatty acids and vitamin A from breaking down and combining with other substances that may become harmful to the body. Fat oxidation can result in the formation of harmful free radicals. Harmful free radicals are highly destructive molecules that can alter DNA and cause extensive damage to the body. skin health and skin care. it is also a very important antioxidant and has proved to be essential in protecting skin cells from ultra violet light, pollution and other elements that produce cell damaging harmful free radicals. as a powerful antioxidant helps to protect the body against stroke, cataracts, bacterial & viral diseases, heart disease and even the signs of ageing. It helps to protect the walls of the arteries. can reduce bad cholesterol (LDL) from being oxidized. may help to prevent clogged arteries. also plays a role in preventing platelets from clumping together and forming blood clots which may help to prevent a stroke or heart attack. helps to boost the immune system which may help to prevent or fight autoimmune diseases. helps to protect the cell's DNA from damage helping to reduce the potential of serious degenerative diseases. Vitamin E is also pivotal in helping with the proper function of the brain. It helps to protect the myelin sheaths that surround the neurons in the brain. This can help prevent degeneration during the normal ageing process and may also help to prevent illnesses such as Alzheimer's disease. Like the other fat-soluble vitamins,it is absorbed in the presence of bile salts and fat. It is transported to the intestines where absorption into the lymphatic system is completed. It is then transported in the bloodstream as tocopherol to the liver, where high concentrations are stored. The fatty tissues, heart, muscles, testes, uterus, blood and adrenal and pituitary glands all store Vitamin E.
Product Ingredients: Vitamin E combined in yellow pea; vegetable cellulose.